Belgium’s Antwerp is a port city bursting with creative energy, so it goes to figure that there are more original mementos to be found than say a button of folk hero Brabo. These nine shops guarantee a unique gift or souvenir, be it a nautical map, a delicate lace doodad, or even a curious jar full of electric blue butterflies. The name already gives away the game at Wunderkammer. The second brainchild of the people behind the bookshop known as ’t Stad Leest (“The City Reads”) is a room full of little wonders and curiosities, at least for those who are into design, offbeat postcards, and idiosyncratic knick-knacks such as unicorn candles or encyclopedia prints of different species of cacti. Owners Wouter and Sofie like to pick out items with an edge to them, making sure that a gift from Wunderkammer is rarely found anywhere else. The approach is working too: Wunderkammer has outgrown its little shop and will be moving to more spacious pastures around the corner, on the Kleine Markt, where a selected assortment of ‘t Stad Leest books and local bike shop De Geus will join the gift Valhalla. Even more of a curiosity cabinet is Lonesome George. 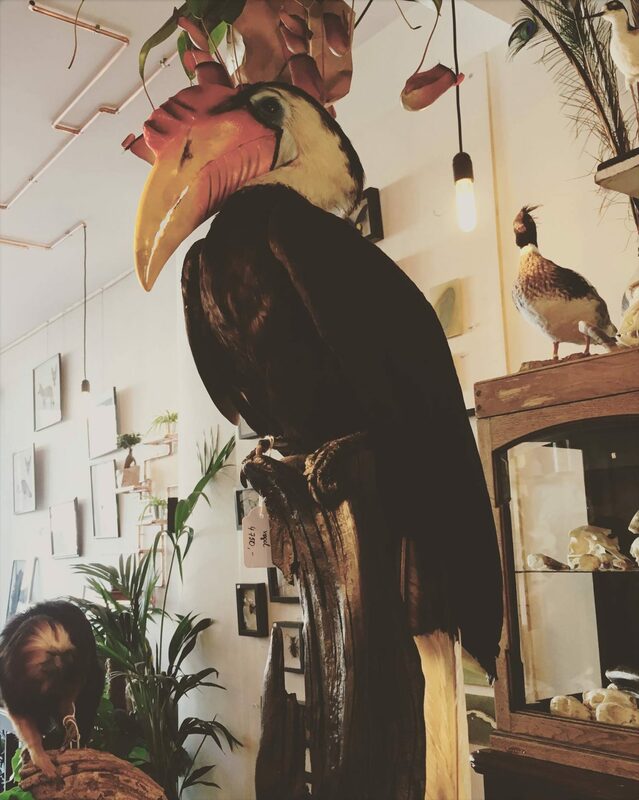 In this quirky shop close to the Plantin-Moretus Museum, theater folks Maarten Janssens and Rani Grégoire deal in tiny bird skeletons, bell jars full of butterflies, and taxidermy. By naming their shop after the late Pinta Island Tortoise Lonesome George, who was the last of his species and an icon of biodiversity, the creative pair hopes to demonstrate their fascination with—and respect for—mother nature. Now and again they’ll add a plant or a “regular” interior object to the collection, but the shop showcases, for the most part, wonderfully weird things, a lot of which is created right on the spot or in their atelier. 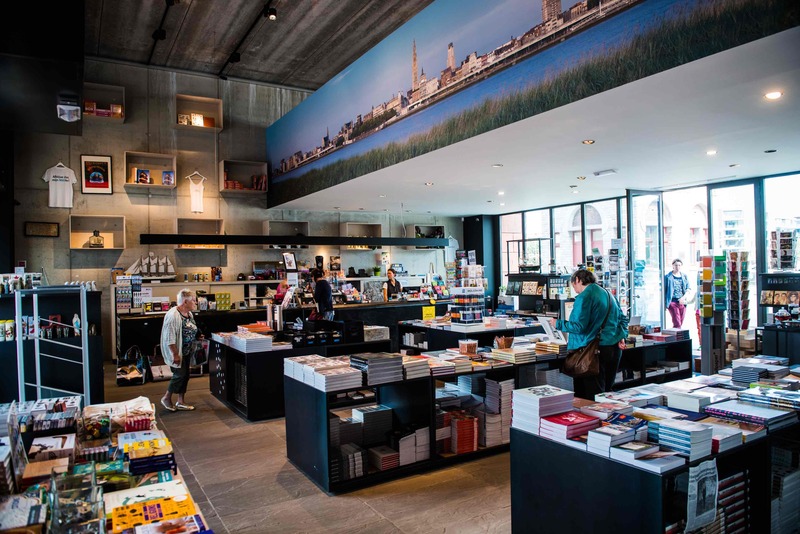 Its attention to the finest artists sprouted on Belgian soil makes the recently renovated M HKA a museum worth visiting, and its adjoining bookshop is cut from the same cloth. Laid out like a sleek library with a dark wooden table in the heart of the room, the Museum of Contemporary Art’s shop offers contemporary art magazines such as H ART and Oogst (which translates to “Harvest” and likes to describe itself as “an exhibit on paper”), limited edition books, postcards, and posters. The staff does a good job of linking items to ongoing exhibitions, and once you walk out with a Luc Tuymans-themed treasure in hand, the cultural day out is complemented well by walking straight back into another part of the M HKA building for a film at Cinema Zuid. Smack dab in the old district, a few steps from the picturesque Hendrik Conscience Square, sits Superet. 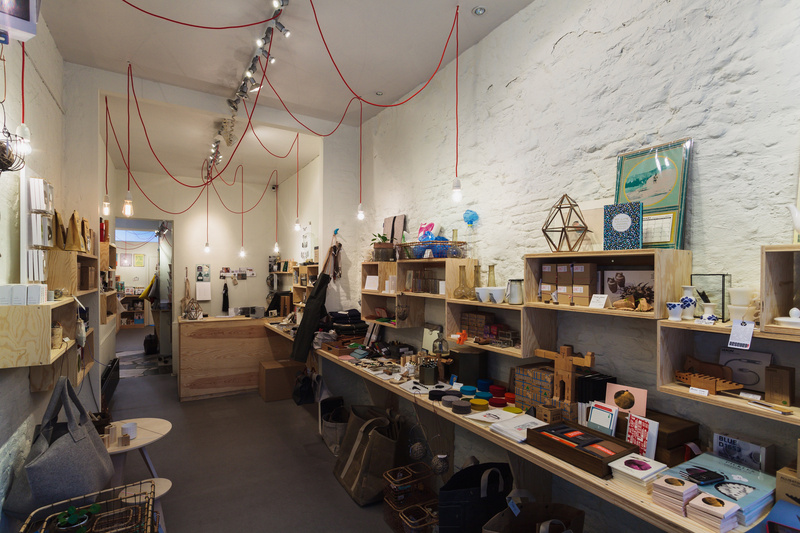 This snug corner shop is an ideal place for finding that eco-friendly gift and likes to function as an enthusiastic platform where local talent and European creatives can showcase their stuff. Several brilliant, imaginative minds have woven comic books into the Belgian DNA over the 20th century, and specialty store Mekanik Strip is a perfect example of a passion that persists. A collection of tens of thousands of graphic novels, art books, pockets, figurines, posters, playing cards, and so on has turned the shop into somewhat of a Belgian mecca for the dedicated comic book fan since its founding in 1983. The business was recently taken over by 30-something Antwerpenaars Jens and Kim, who had fallen in love with the place and its warm geeky atmosphere while they were still customers. Besides an expansive repertoire, the shop has signing sessions, puts together lists of essential Batman reads and remains an all-around comic strip haven. Since its completion in 2006, the MAS has become an Antwerp icon and symbol of the city’s maritime identity. Like any museum, this giant also has a gift shop, which has many treasures. Besides the traditional postcards, keychains, mugs, and magnets, this nautical-themed goodie haven has sweatshirts, puzzles of Antwerp landmarks, large-scale posters of cityscapes and the 1894 World Expo, and shipping maps. 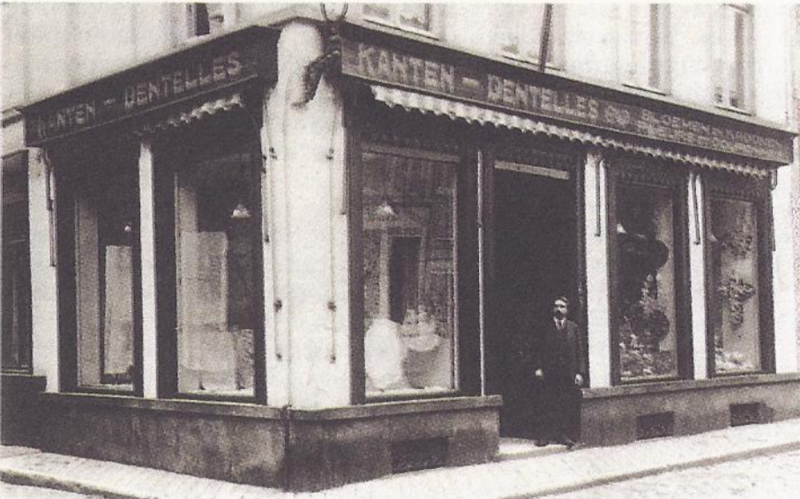 Radiating old-fashioned charm, the Antwerps Kantwinkeltje (the Antwerp Lace Shop) is the real deal. The four-generation-old family business continues a proud Flemish heritage in a bright red building on the picturesque Handschoenmarkt. Here, Brigitte Cromheecke, whose grandfather and his three sisters founded a lace school around the turn of the 19th century, presents delicate table linen and accessories manufactured the true traditional way. 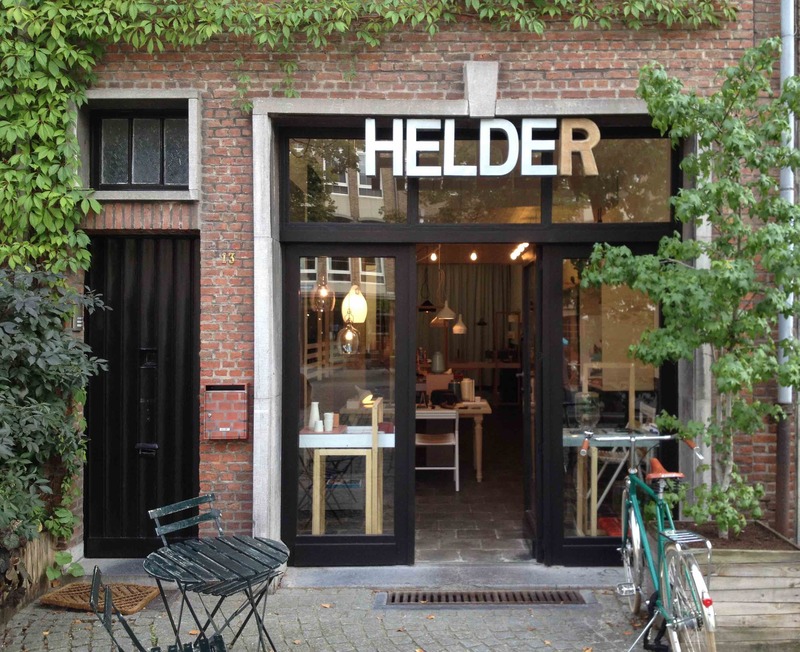 In Helder on the Vrijdagmarkt, you’ll find a nest of young Belgian and international creatives simultaneously working on and selling their stuff. 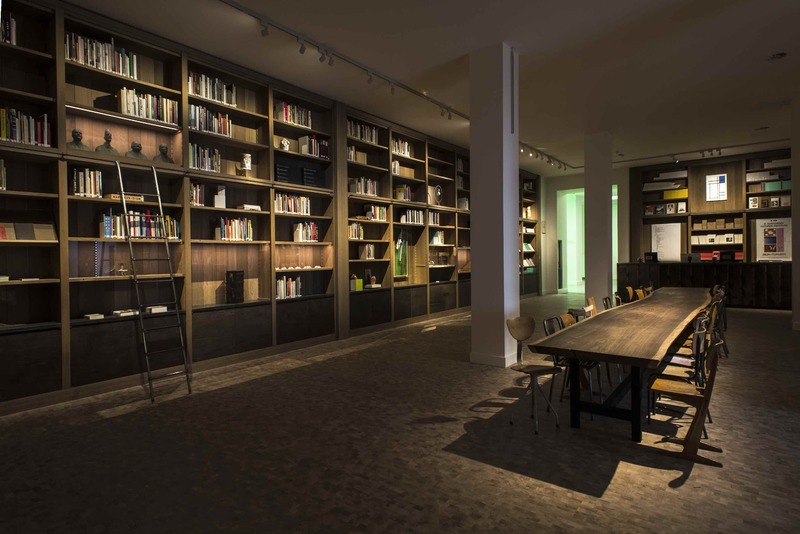 Diana Keller and Brecht Baert founded their design studio/concept store in the shadow of the Plantin-Moretus Museum, creating a relaxed environment that curious travelers and locals should feel free to wander into at leisure. Being able to peruse home décor objects, jewelry, and accessories while connecting with working artists makes for a very pleasant experience. 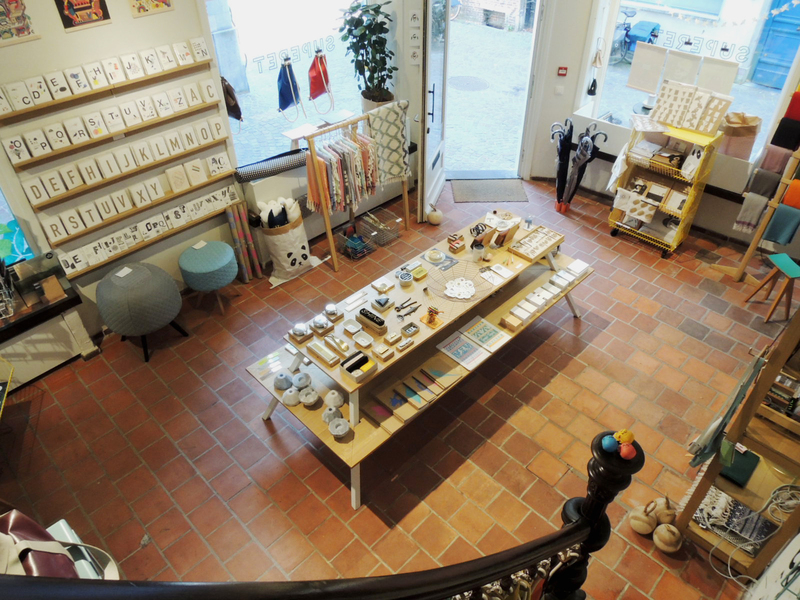 For your more traditional tourist needs, Stadswinkel Antwerp (City Store Antwerp) is always a good bet. Baby rompers, sweatshirts, stamps and other items sporting the Brabo statue, the Boerentoren (Europe’s first skyscraper) and more city landmarks are available in large supplies. A healthy smattering of regional specialties such as De Konick beers and “Antwerpse handjes” (a cookie in the shape of a hand) round out the assortment.